Rebecca Aris interviews James Valentine on the recently launched FDA patient network. Created in 2012, the FDA Patient Network works to bring the unique perspective of patients, family members, caregivers, and patient advocates to the decision-making processes of the FDA. James Valentine has helped manage the creation of this website as a patient liaison in the FDA’s Office of Health and Constituent Affairs within the agency’s Office of External Affairs – the agency’s primary patient liaison and patient advocacy office. 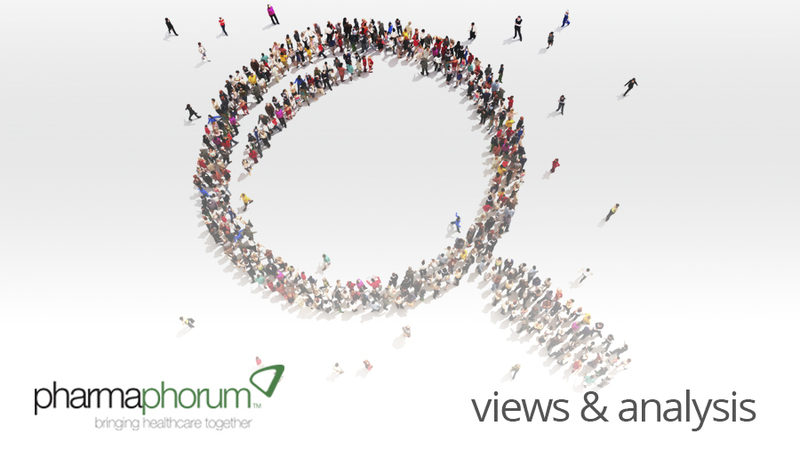 Here, James speaks with pharmaphorum on what inspired the patient network and what patients are seeking from it. RA: What inspired the FDA to launch the FDA Patient network? JV: The FDA web site has a wealth of information directed toward a broad and varied audience. But the breadth of technical information can be overwhelming, and basic information about FDA of interest to patients can be hard to find. FDA launched the FDA Patient Network Web site as a portal for patients to learn about FDA, and how it impacts them. The site is designed not only to provide patients and consumers with accessible language relevant to them about medical product regulation, but also to encourage them to become more involved with FDA. FDA believes that patient perspectives are vital in judging potential benefits and acceptable levels of risk regarding medical products. By bringing in the patient perspectives early on in the medical product development process we hope to yield higher quality and safer end products. The site is meant to evolve based on patient feedback, to better meet their needs, and provide patients with information about how to get more involved in regulatory issues that affect them. In addition to informing patients and consumers about important issues where FDA is seeking public comment, such as policy questions, and product development guidances, the site lists upcoming public meetings related to specific medical products, where patients can make their voices heard. The site also describes how some patients can play a more active role by becoming FDA patient representatives. RA: Can you tell us about what it hopes to achieve? JV: Our primary goal can best be described by our launch slogan: Get Informed. Get Involved. Help FDA Help Patients Have a Bigger Voice. We wanted to provide a resource for any patient and patient advocate interested in an FDA-regulated medical product to have a home for getting educated about how those products are regulated and how they can become involved in that process. While some patients will access the site solely as a source of information, we hope others will become active advocates for their community, providing FDA with their unique perspective that will allow us to make better-informed decisions. Patient advocacy isn’t a new concept at the Agency, this is just a new tool to help facilitate patient education and involvement. The Office of Health and Constituent Affairs, previously known as the Office of Special Health Issues, has been the center of patient liaison functions since the 1980s. Our office has been working with individual patient representatives (advocates who are recruited as special government employees to provide patient perspectives on specific medical and regulatory issues) to help them understand the regulatory framework within which review and analysis of data are reviewed, and the evidence applied to regulatory decision-making. The Patient Network is an attempt to scale up our current educational informational and advocacy resources using the web so that all patients, caregivers, and advocates would have access to that information. We believe that the more people know and understand about the process, the more involved they will become, and the more valuable their input will be. The need for this program became evident in the summer of 2009, following the arrival of Commissioner Hamburg and a series of listening sessions she held with external stakeholder groups. Patient advocates were interested in having greater input. The website development project began in 2010, starting with research of current resources and directly seeking input from patients and patient advocates through focus groups about what they wanted and needed. We knew from working with patients that the current FDA.gov website was not organized or written in plain language for the patients. We used focus groups to target the kinds of information most important to patients and advocates, and what kinds of tools would be of greatest use. RA: What kind of information can patients find on the network? JV: The FDA Patient Network Web site is a comprehensive site that now serves as FDA’s first stop for patients and patient advocates. Patients will be able to keep up with FDA activities where they can provide their input through comment submission, learn about upcoming public meetings that are of interest to them, interact through live chats, and help guide the evolution of the site by submitting questions and comments directly to the site. They also can learn how to serve as consultants and presenters at FDA meetings and workshops on disease-specific or policy issues. The site also provides timely and easy-to-read information to patients on medical product safety and approval, off-label use of drugs, clinical research, and the medical product approval process. RA: What were the outcomes of the live chat around the patient network and what were people keen to learn more about? JV: We were very pleased with the interest in the FDA Patient Network first LiveChat. There was strong interest in our Patient Representative program, which is important given the need for people who can talk about the patient community and express their views on a particular disease or condition. We also had several questions about clinical trials—what kind of information the site has and how people can search for trials. We made a concerted effort on the site to explain in plain language how and why clinical research is important. We also included a simple search function that links directly with clinicaltrials.gov, where patients can search for trials related to specific medical conditions, and filter specific geographic areas. There also was a request for chats on specific diseases or conditions, and we will certainly look into that for future live chat topics. RA: How can patients engage with FDA staff through the network? JV: The Patient Network Web site and the Patient Network News (our bi-weekly electronic newsletter) provide avenues to learn about opportunities for input from patients and patient advocates. The web site lets people find out how FDA works, know how they can get involved in Agency activities, where they can make comments, and how they can explore working with the agency as a patient representative. The FDA Patient Representative Program, provides an opportunity for qualified patients and advocates to represent their larger disease community and offer their perspective on medical product development through advisory committee meetings, as consultants, and as presenters at selected FDA meetings and workshops on disease-specific issues. Patients can learn about the Patient Representative Program functions and requirements through the website, and find instructions for how to apply to be part of the program. The site hosts several webinars on a range of topics related to the approval and safety of drugs, devices, and other medical products. Visitors to the site can listen to past webinars or read the transcripts to learn more about how FDA works. RA: How will this network expand the role of patients in FDA decision making? The FDA Patient Network is a gateway for patients and patient advocates to engage with the Agency; first, by becoming more educated and informed about our regulatory decision-making process through the site’s content, then by providing them with information about how to get involved. The site itself helps facilitate patient involvement in programs like the Patient Representative Program. We plan to explore additional ways to provide direct patient input into Agency decision-making via the web, and develop meaningful and practicable mechanisms to use patient input in areas such as risk tolerance for new medical products. RA: What questions are you seeing submitted to the network? People are interested in a range of topics. We’ve had patients ask about access to investigational products outside of a clinical trial, under programs that may benefit patients who have exhausted all other treatment options. There also is strong interest in the Patient Representative Program, and the need for those who have had direct experience with the disease and who can articulate what the patient community experiences with regard to a specific disease, and is able to understand data and putting connections together. We’ve also received questions about rare diseases and plan to include more information that is useful to people who are coping with a disease for which they is really limited information, and unmet medical need. Pediatrics is another topic that appears to be of strong interest to our visitors. Our hope is to expand the site in areas where patients and advocates express the greatest interest. RA: What developments to the FDA patient network can we expect to see in the future? We see the FDA Patient Network website as an evolving resource for patients and consumers. We are striving to continually improve and enhance the Patient Network Web site with new features, tools and information, based in large part upon the needs of our users. We also offer an annual meeting with patients and advocates to talk about issues important to them. In talking to people and advocacy groups, a lot of people said what would be most useful for them in an annual meeting would be understanding how the FDA really works and how are decisions made. They are interested in learning about what kind of evidentiary information and data is necessary to get out the drug on the market and how the entire process works. We are in the planning process of this year’s meeting, and plan to hold the meeting in September in downtown Washington, D.C. The topic this year is Demystifying FDA. We also plan to host quarterly live chats, and are looking at the topic of developing medical products for rare diseases for this fall. We also are adding more disease-specific information and resources to the web site. And continue to add webinars to the library of information. The Office of Health and Constituent Affairs is FDA’s liaison office for patients and consumers and their primary point of contact. The Office supports programs specifically designed to help ensure that patients’ voices are reflected in the regulatory decision making process. We encourage patients, caregivers, advocates, and others to submit questions and concerns through the new web site, or connect with our staff. For direct inquiries, please send an email to PatientNetwork@fda.hhs.gov. What do you think patients would like to learn from the FDA?